We’ve discovered that another swath of rare old-growth rainforest is slated for imminent destruction on Vancouver Island. And as in the case of last year’s scandalous clearcuts in Schmidt Creek and in the Nahmint Valley, it’s again the responsibility of the BC government’s own logging agency. 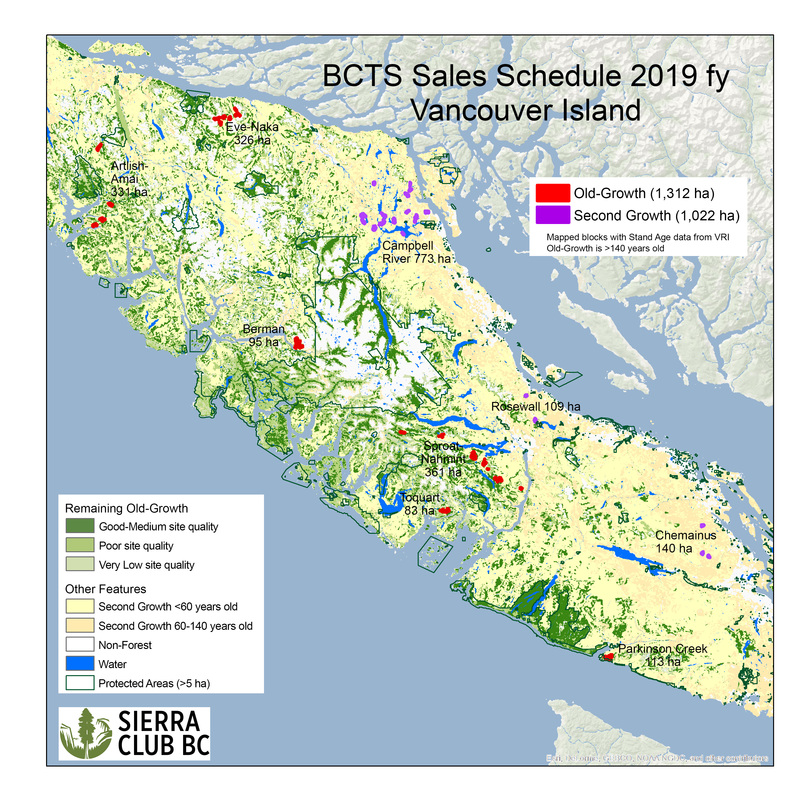 BC Timber Sales (BCTS) plans to auction an area the size of more than three Stanley Parks for industrial clearcutting in 2019. Together with Elphinstone Logging Focus (ELF), we analyzed BCTS’ sales schedule and found these proposed cutblocks add up to more than 1,300 hectares. The majority target intact productive rainforest ecosystems that have only a fraction of their original extent remaining. These areas are at high risk of losing the plant and animal species that depend on them. Many of the cutblocks are near Sproat and Nahmint Lakes in Hupacasath and Tseshaht territories close to Port Alberni. Other areas are near Sayward (Ma’amtagila territory) and Gold River (Mowachaht/Muchalaht territory). Watch Senior Forest and Climate Campaigner Jens Wieting discuss the logging plans on Global TV and read the story in the Globe and Mail. The B.C. government doesn’t share detailed information about how much old-growth remains in each ecosystem, how much is set aside or what a clear logging threshold should be to protect what’s left. Government data do show, however, that the majority of the 1,300 hectares listed are forests with an age of 140–250 years. This means they have not previously been logged by industry and have most of the features of old-growth stands older than 250 years. As big trees older than 250 years become increasingly rare, trees older than 140 years become more important to protect as remaining habitat for old-growth dependent species like marbled murrelets and spotted owls. 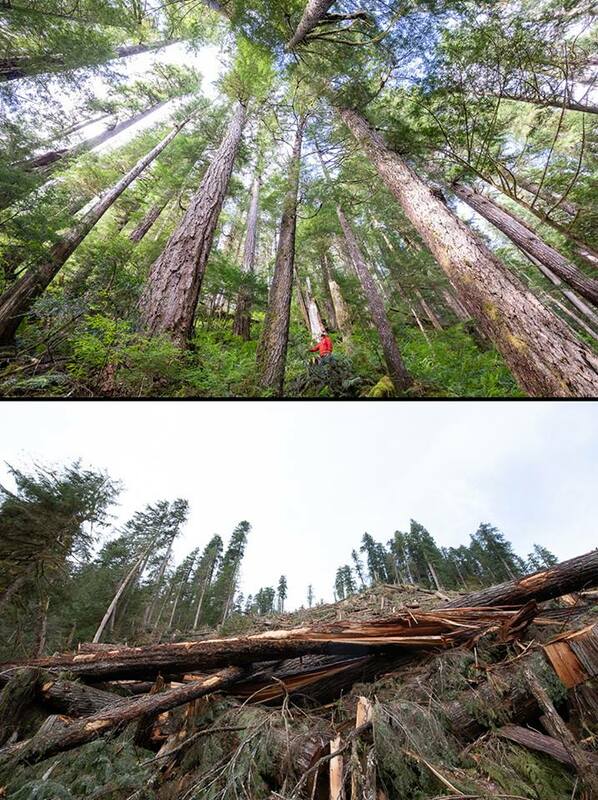 Yet Sierra Club BC’s data show that industrial old-growth logging continues at a rate of more than three square metres per second, or about thirty-four soccer fields per day. Instead of liquidating the last ancient stands, B.C.’s forest stewardship should be focused on supporting good long term jobs in sustainable second-growth forestry and supporting First Nations that seek to protect more forests in their territories. Recently, the B.C. government stated that it is working on an old-growth strategy. However, we’ve been waiting for details and timelines for months, including updates on what interim steps will be taken before almost all of the remaining endangered ancient forests are logged. Despite the rapid ongoing loss of the remaining old-growth, the Minister did not offer any updates on additional protection for old-growth. The B.C. government has introduced changes to forestry regulation. 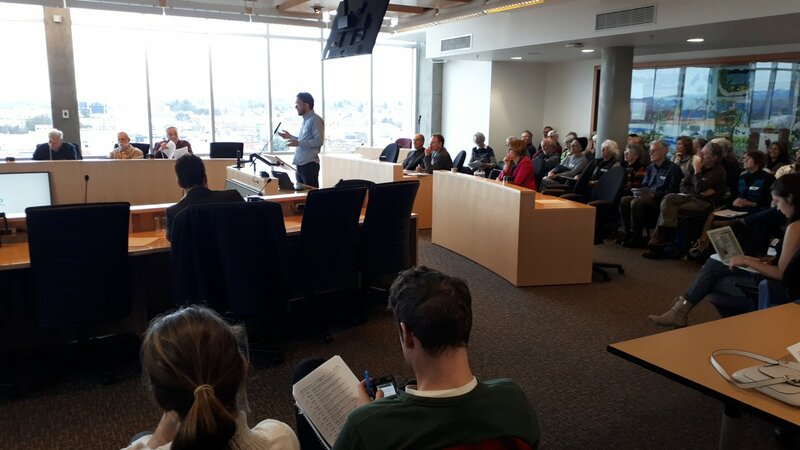 But it remains unclear whether it will use this opportunity to listen to concerned British Columbians and make the crucial improvements needed to protect endangered old-growth ecosystems and other ecological values from destructive logging. 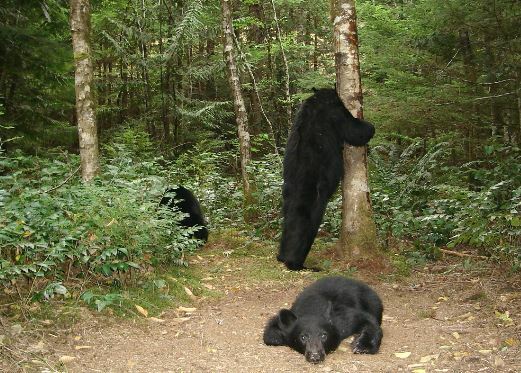 Unless the provincial government changes course to protect and restore what remains of endangered old-growth, communities will be left with ecologically impoverished tree farms that cannot sustain the species that depend the web of life as we know it. That’s why we’re urging the B.C. government to take immediate action for the well-being of Indigenous and non-Indigenous communities, for habitat of endangered species, clean air and water, long-term forestry jobs and to save one of the world’s most efficient carbon sinks. We must start with protecting remaining intact rainforest areas imminently threatened by logging—such as the Central Walbran and East Creek—and using a science-based approach for protecting and restoring the remaining old-growth forest, starting with the most endangered ecosystems. A comprehensive conservation and forest management plan for Vancouver Island and other parts of B.C. must respect Indigenous rights and interests, enable a transition to sustainable second-growth forestry, support diverse economic activities such as tourism, and reduce carbon emissions. Bigleaf maple. Photo by Amanda Lewis. I stood on the banks of the Ksi Sii Aks (Tseax River), just outside of Gitlaxt’aamiks in the Nass Valley, and looked up. Clouds of cotton swirled around me, cast off by black cottonwoods in high summer. 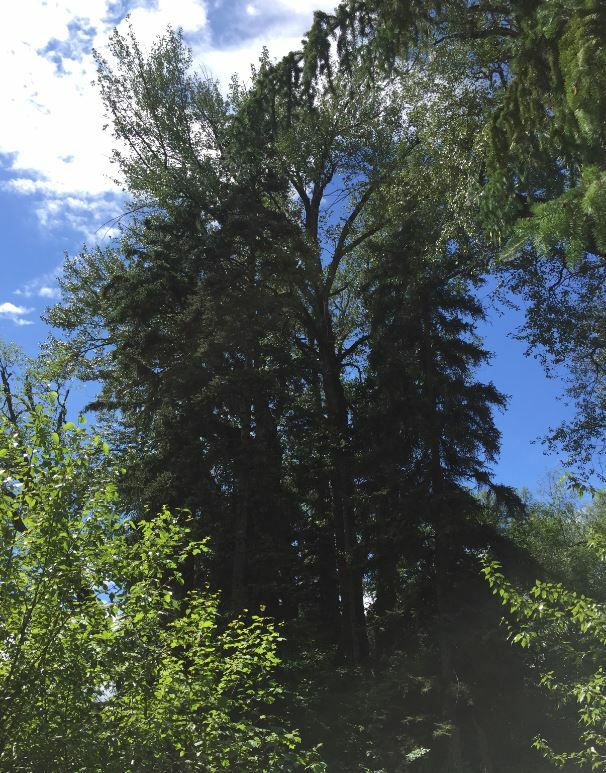 I’d come to Nisga’a territory in northwestern BC to find the largest black cottonwood in the province. 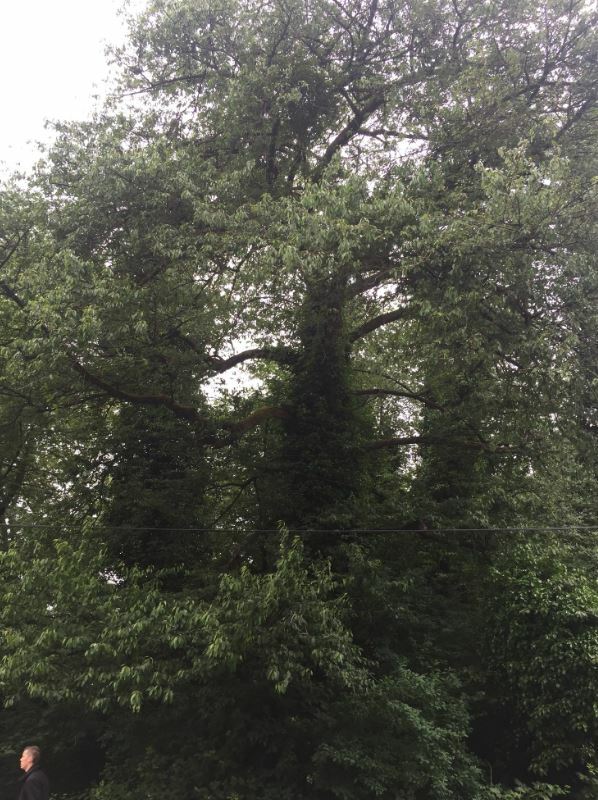 I had GPS coordinates for the tree, but I now had to rely on my senses—and measuring tape—to determine which of the trees in the surrounding groves was the largest. I’m a big tree tracker. Since June 2018, I have been looking for the largest trees in BC—the Champion Trees—and recording these visits on my blog, Tracking Giants. 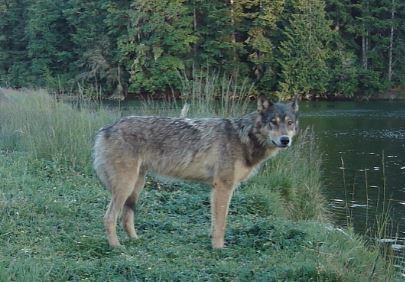 These Champions have been nominated and verified as the largest of their species, and are recorded in the BC Big Tree Registry. The registry was the idea of famed big-tree tracker and mountaineer Randy Stoltmann, and the BC Forestry Association established it in 1986. The registry was revitalized in 2009, and is now maintained by UBC’s Faculty of Forestry. Black cottonwood. Photo by Amanda Lewis. I use guidebooks to determine the tree’s species, and clues that may be from the early 1990s (as well as tips from fellow trackers) to determine if it is in fact the Champion. Once I determine the tree’s status, I take new measurements and photos, and assess its general health. Some of these trees may have fallen, been cut down, or been hit by lightning—they are not physically marked or protected, and there’s no guarantee that they will be there when I arrive. My project is thus about recalibrating ambitions and being comfortable with shifting goal posts—necessary when the goal posts might be missing, or when a newly discovered giant could supplant the existing Champion at any point. I’m visiting and chronicling trees of all types, from Western red cedars and Douglas-firs to maples, crabapples, larches, and willows. These trees are located all around BC, from the Southwest Coast to Haida Gwaii, Fort Nelson, and the Kootenays. The trees change dramatically—in type, size, and distribution—because of the mountain ranges and the weather systems that roll in off the Pacific and down from the Arctic. 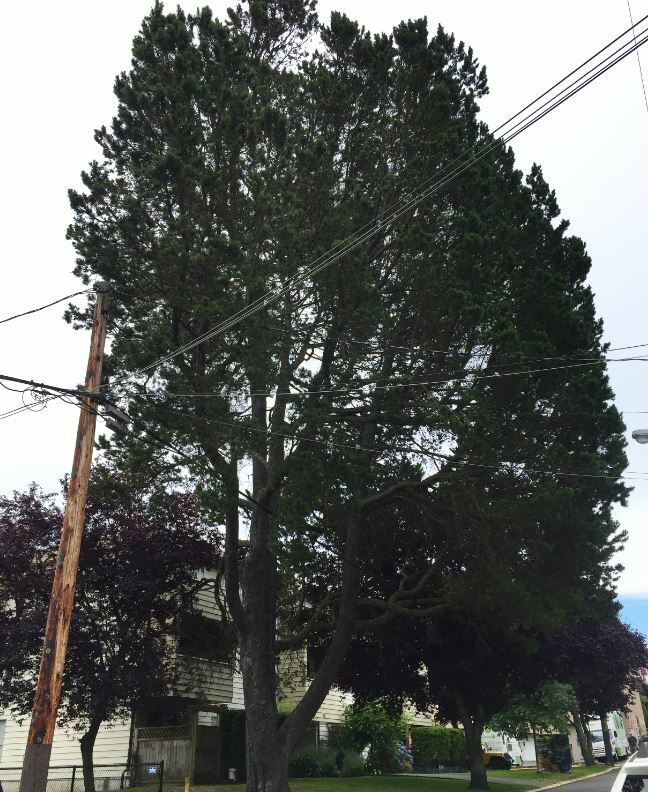 I’m learning about numerous species, beyond the cedars and firs I know so well, and have had to shift my understanding of what a “typical BC tree” looks like. Some of these trees are 800–1,000 years old. They’ve survived logging, encroaching development, fire, even blight. It feels appropriate to pay homage, and for these reasons I regard my trips around the province as pilgrimage, and myself as a tree pilgrim. Shore pine. Photo by Amanda Lewis. Though we shouldn’t think of these Champions as white rhinos, the fact is that some of these large trees are now ecologically anomalous: prior to the Anthropocene, they would have been the norm. We’re potentially among the last generations to experience these giants, in a world that is rapidly diminishing in diversity and livability. As the 2019 Patagonia documentary Treeline comments, “As the climate changes, it is increasingly unlikely that these complex ecosystems will return after logging, even if they are allowed the 250–1,000 years they need to regenerate.” We have a small window of time in which to act, and it’s crucial to honour and conserve what’s here now. It stands to reason that some of the largest trees haven’t yet been found, which is one reason why I support the work of conservation groups like Sierra Club BC and the Ancient Forest Alliance. 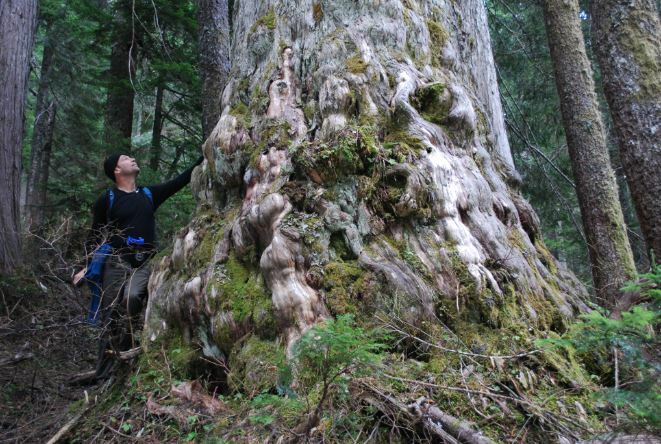 For example, the recently discovered Mossome Grove on Vancouver Island contains a Sitka spruce that is likely among the top 10 largest in the province. This 13-hectare grove, which includes a maple with a 23.1 m long horizontal branch, is currently unprotected. 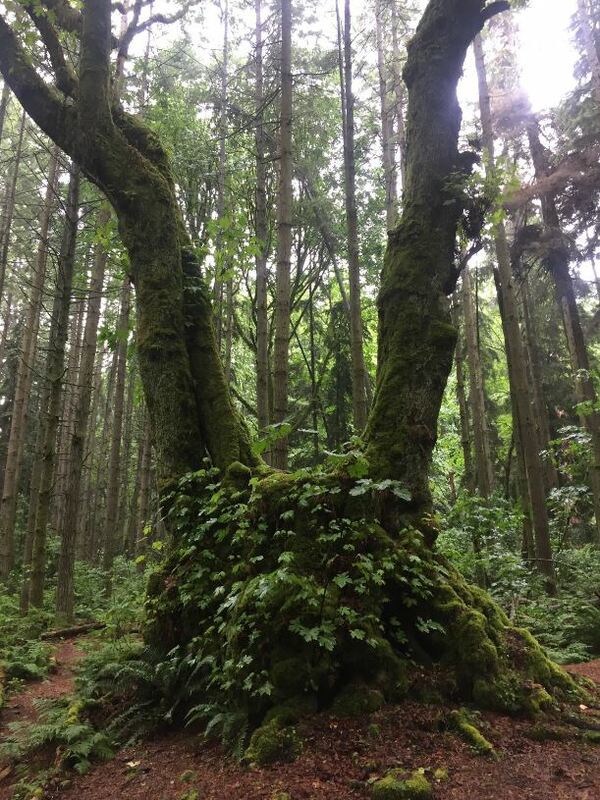 While no logging is planned, the Ancient Forest Alliance is calling on the provincial government to protect the grove by expanding the 2-hectare old-growth management area into the woodlot managed by Pacheedaht Forestry Ltd. Bitter cherry. Photo by Amanda Lewis. As for that black cottonwood? I found it on the riverbank, and you can see it, too, by searching for its coordinates on the BC Big Tree Registry and travelling to the incredible Nass Valley. 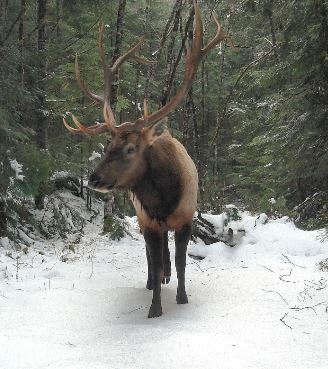 The coming months are a perfect time to visit these trees—some of them are deep in the backcountry or down logging roads, but a lot are closer than you think. The largest known bigleaf maple, for example, is in Vancouver’s Stanley Park. When you look for a tree, know whose territory you’re visiting (Native Land [[www.native-land.ca]] is a good starting point), and take care that you’re not trespassing on restricted or culturally sensitive lands. Follow protocols, and above all be safe and respectful. Happy big-tree hunting! VICTORIA, B.C. 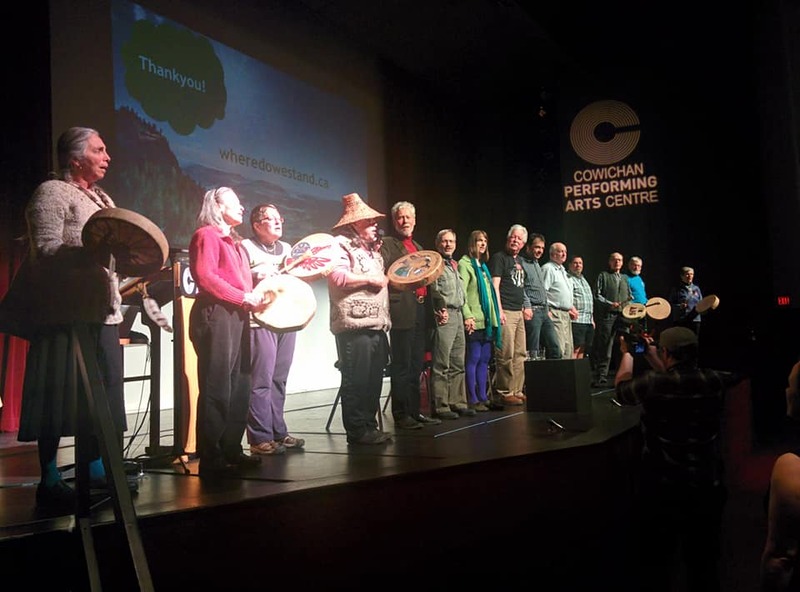 – Environmental organizations Ancient Forest Alliance, Sierra Club BC and the Wilderness Committee are calling on the B.C. government to stop issuing logging permits in B.C.’s last remaining intact old-growth forest “hotspots” and endangered old-growth ecosystems and to implement legislation to protect endangered ancient forests. The call coincides with the International Day of Forests (March 21), declared by the United Nations as a day on which to celebrate and raise awareness of the importance of Earth’s forests. Captions for photos are below. Media are free to reprint images. Credit to “TJ Watt” when possible. 1) Ancient Forest Alliance campaigner & photographer TJ Watt stands next to a giant redcedar tree in Eden Grove on Edinburgh Mountain near Port Renfrew. 2) Ancient Forest Alliance campaigner & photographer TJ Watt stands on top of a giant redcedar stump in a clearcut on Edinburgh Mountain near Port Renfrew. 3) Ancient Forest Alliance campaigner & photographer TJ Watt sits on top of a giant redcedar stump on Edinburgh Mountain near Port Renfrew. 4) Ancient Forest Alliance campaigner & photographer TJ Watt holds falling boundary tape in the Central Walbran Valley old-growth hotspot. 5) Ancient Forest Alliance campaigner Andrea Inness sits next to an unprotected 14-foot-wide redcedar tree in the Nahmint Valley near Port Alberni. 6) Ancient Forest Alliance campaigner Andrea Inness stands beside a freshly fallen old-growth redcedar tree in BC Timber Sales cutblock in the Nahmint Valley near Port Alberni. 7) An aerial photo of old-growth logging in the East Creek Rainforest on the northwest coast of Vancouver Island. VIDEO: Media are free are free to use.